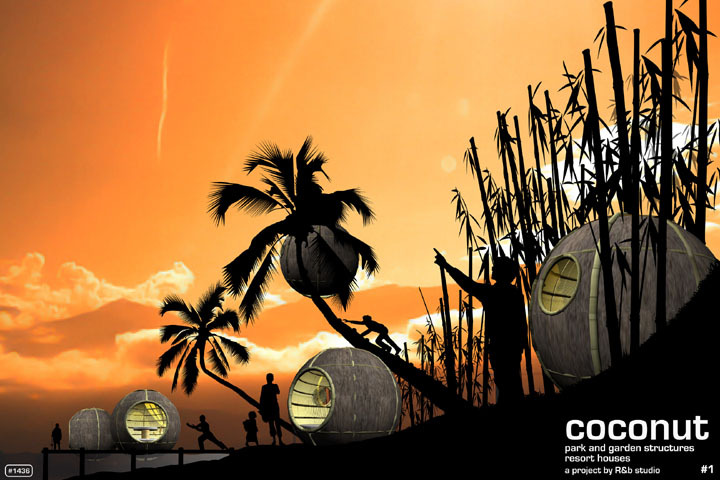 The Coconut is made only of curved bamboo poles for the structure, tatami mat for the walls, and internal storage box, and an integrated door/window system. The larger poles are curved while they are still growing to facilitate the circular shape. 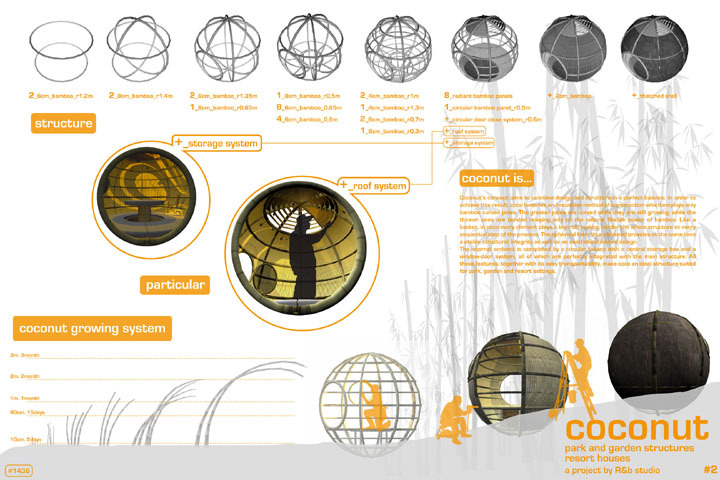 The spherical shape of this structure provides structural integrity as well as interior aesthetic appeal.